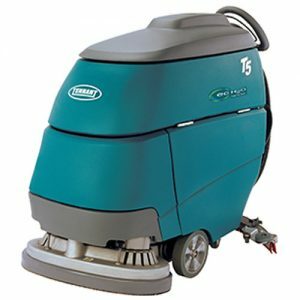 The Tennant T5 Walk-Behind Floor Scrubber is a scrubber that is enhanced by its innovative scrubbing technology. 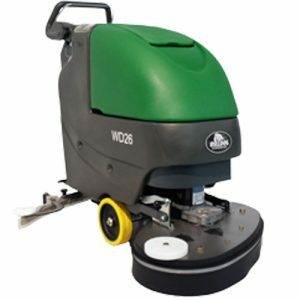 Available in either disk or cylindrical, the T5 will meet the needs of your facility with a scrubbing path ranging from 24 inches, to 32 inches. The maneuverability on this machine will allow you to scrub in the toughest areas to reach and no time is wasted when the T5 allows for up to 4.5 hours of cleaning time on a full charge. Call today to schedule an appointment to get a FREE DEMONSTRATION of one of our most popular walk behind scrubbers. 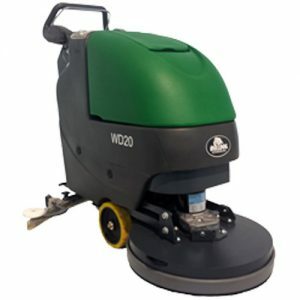 The Bulldog BD 20 Walk Behind Floor Scrubber is a scrubber that simplifies the floor cleaning process. This base model machine is capable of cleaning a maximum of 16,000 square feet an hour with its 20″ scrub path. 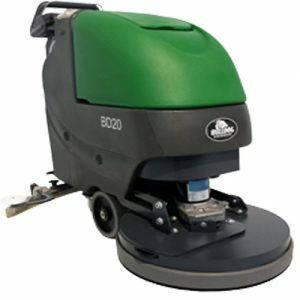 The BD 20 is a brush driven floor scrubber that performs exceptionally well and does not put a big dent in your wallet. 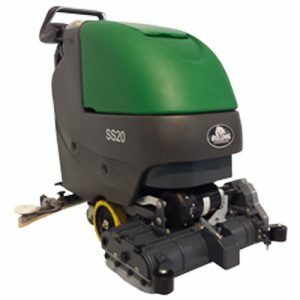 The Bulldog SS 20 Walk-Behind Floor Scrubber/Sweeper is capable of picking up small debris, as well as scrub. This machine features a small hopper to catch any debris you pick up and the 20″ cylindrical brushes allow for a 16,000 square feet/ hour clean.